Zac was born in Durango, CO after which he moved around the country. A large portion of his younger years were spent in New York City giving him opportunities and exposure to music unlike anywhere else. Jack Casady, Jorma Kaukonen, Fareed Haque, Bobby Vega, Marc Ribot, Chris Wood, John Patitucci, Larry Grenadiar, John Medeski, Billy Martin, Victor Wooten,and many others. From 2006-2008 Zac attended Idyllwild Arts Academy. While in California he had the privilege to study with: Marshal Hawkins, Stanley Clarke, John Clayton,and Paul Carman. In 2008-2010 Zac enrolled in University of North Carolina Wilmington studying with Stevie Bailey and Joe Chambers. From 2010-2013 Zac studied at NYU affording him the opportunity to study with: Drew Gress, Wayne Krantz, Joe Lavano, Stefon Harris, Kenny Werner, Chris Potter, Jean-Michel Pilc, Mike Richmond, Martin Wind, Ralph Alessi, Rich Shemaria, Dave Pietro, Brad Shepik, Billy Drewes, Tony Moreno, and Andy Milne. In 2008 Zac and a group of friends started the Almost Holden Collective (AHC). AHC is a multi media collective focused on cross media collaboration. In 2013 AHC opened a physical space at 2821 Ocean Park, Santa Monica, CA. With its store front, art gallery, music venue, movie theater, recording studio, post production films, dark room, and print in design lab for shirts cds, dvds, bluerays and more, the space is capable of catering to a variety of artistic endeavors and mediums. 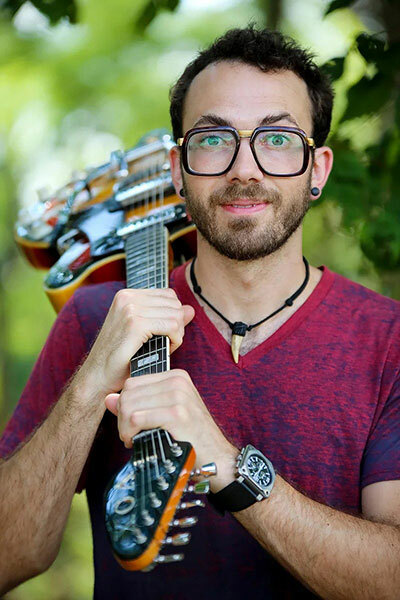 In 2015 Zac co-founded the non-profit Musicians for Health (musiciansforhealth.org) with Joyce Elkus. The 501c3s mission is to create a platform for artists to help cure disease through awareness, fundraising, and sound. Since its founding it has become active across the country as well as international. Greenberg has also opened Taste Sound Studio, a recording studio in Lower East Side NYC where he produces much of his own work as well as other artists.